Last August I had a meeting with Watsonville Chief of Police, Manny Solano, regarding a youth violence prevention project we were working on. Chief Solano came to the Jacob’s Heart family center for the meeting. I was honored to give the Chief a tour of center and show him photos and of the children in our city who have endured cancer, and those we have lost to cancer. During the meeting, Chief Solano handed me a small slip of paper that read: myeloma. I asked, “Who is this for…who has myeloma?” He told me that he had just come from the doctor and the diagnosis was his own. I told him that I really didn’t know a whole lot about youth violence and public safety (the purpose of our meeting), but I did know a whole lot about cancer and that, although he didn’t fit our age profile, I could help. We called the Chief’s wife, Megan, who came immediately. We sat down in the family room at Jacob’s Heart and had a frank conversation about what was to come. 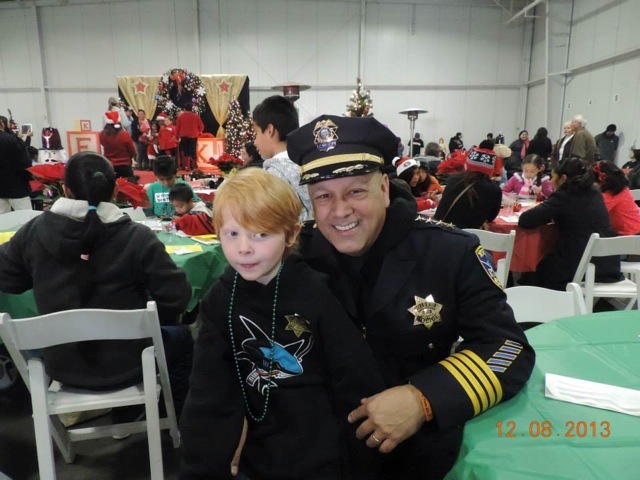 Within about a week, Chief gave a heart-felt and inspiring announcement about his cancer, first to his staff and then to the community, informing people that he was to take a leave of absence while he underwent treatment. Radiation began, as did the outpouring of support from our community. 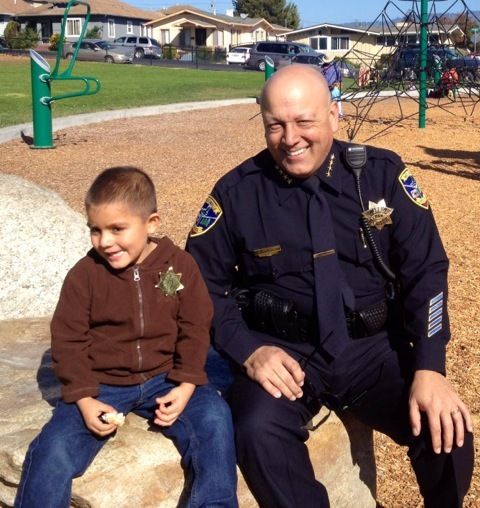 You see, long before the cancer, Chief Solano had earned the respect of our community, because he is a tough, strong leader with a true heart of service to the community. There are countless stories of his service to our youth, long before his cancer diagnosis. So, when the news about his cancer hit, so did the love and support. True to his character, Chief decided that rather than focus on his own cancer, he would instead, use a tough situation as an opportunity to raise awareness and offer support to the children who were in the battle with him. He sent encouraging cards of support to every one of the +/- 40 children with cancer in our city. 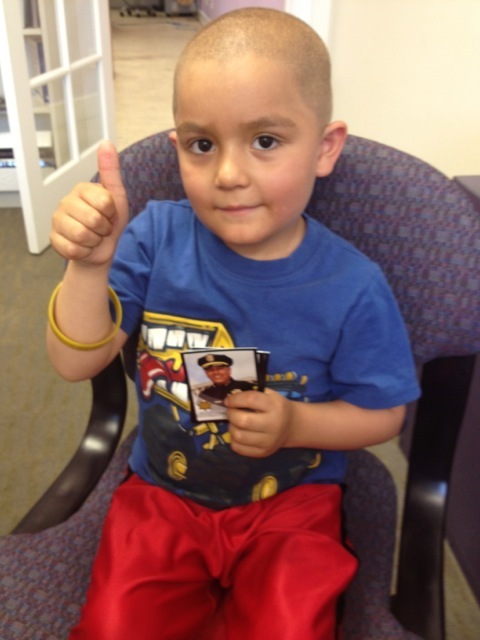 He befriended many of the children, starting a tradition of thumbs up…we got this. Two children in particular, Effy (2 1/2) and Roberto (5), both undergoing cancer treatment, found a cancer hero in their Chief of Police. 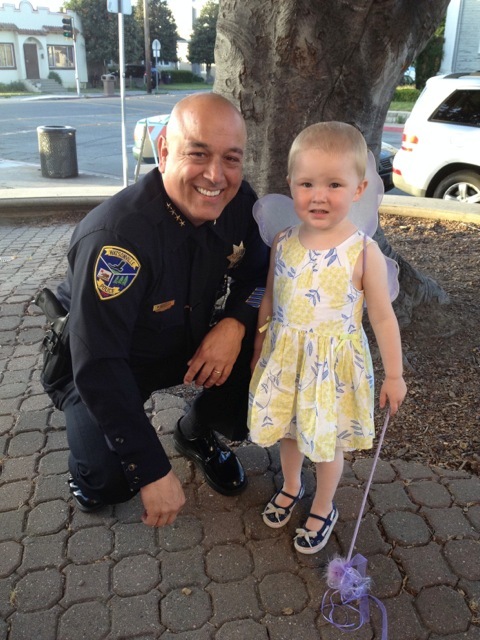 They went through treatment together and have become such cancer pals that Effy saw Chief Solano on the news one night and pointed at the TV shouting out, “That’s my friend Manny." In November, Chief started a “Good Company” outreach program for Jacob’s Heart sending letters to local businesses encouraging them to support Jacob’s Heart and our local children with cancer. That campaign raised more than $100,000 for our organization, which has gone directly to providing counseling, financial assistance, gas to get to and from treatment and much needed grief support to families who lose a child to cancer. Comments on "“Thumbs Up..We Got This”: Fighting more than crime with the support of community "